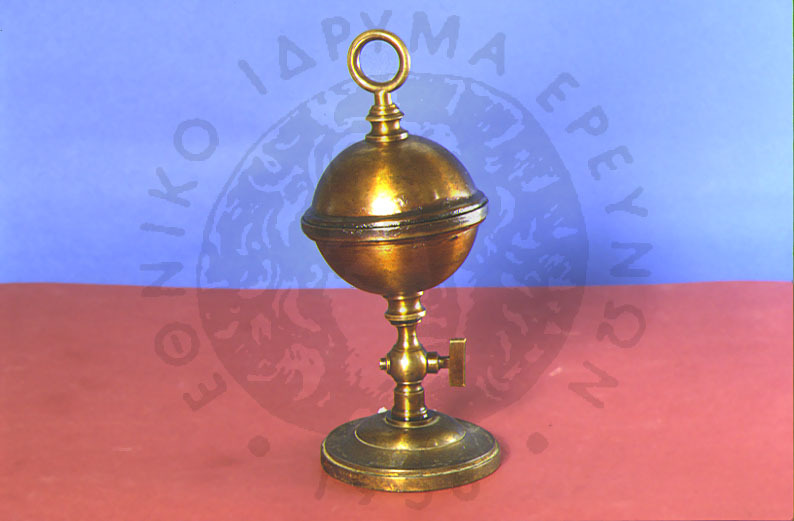 This instrument was used at the laboratory of the 1st Gymnasium of Athens in Plaka. Two hollow bronze hemishperes. The hemispheres are used in demonstrations of atmospheric pressure. When they are fitted together and the air is removed from the sphere, the two halves can not be pulled apart.